New Milford named 33-year-old Sean Murray as its newest head football coach. Sean Murray spent the past several years in New Milford as both a teacher and assistant football coach. The next path was sidelined for a pair of seasons as family life took center stage. The job as head coach opened up after last winter, though, and the 33-year-old hopes to inject excitement to a program yearning for success on the field. Murray replaces Chuck Lynch, who resigned after a season. A former player at Bunnell, Murray learned the game under former Bulldogs coach Craig Bruno and hopes to implement many of his mentor’s philosophies in his new home. 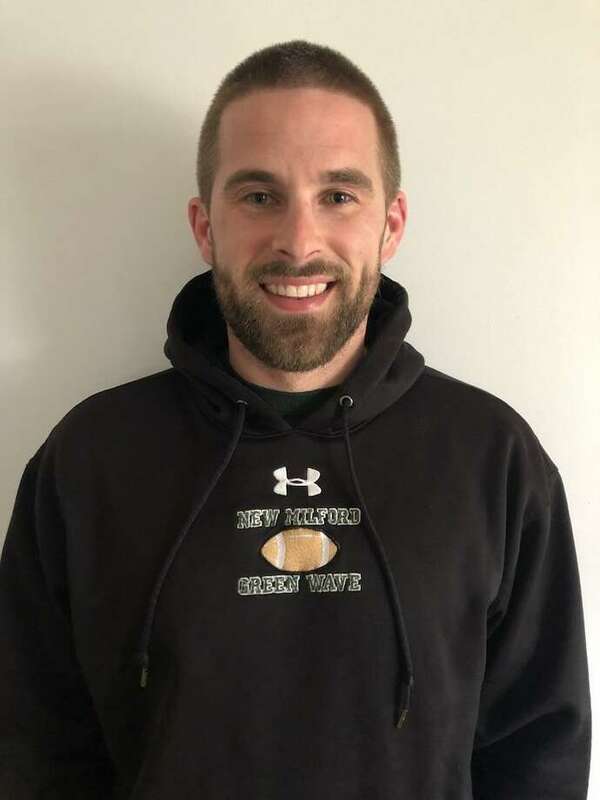 Murray — a Southern Connecticut graduate — is a PE teacher at New Milford and spent three seasons under former coach Larry Badaracco from 2014-16. He primarily worked with the quarterbacks and wide receivers, and called plays. A couple years off reignited a hunger to return to the sidelines. Building relationships with his new players was one of the biggest draws to the new position. Murray met with his team for the first time Monday. Establishing a winning tradition has yet to be accomplished with the team, which hasn’t eclipsed the .500 mark in over a decade. New Milford went 0-10 a year ago with its last win coming Thanksgiving Eve, 2017. Working with the town’s youth league is something Murray valued.